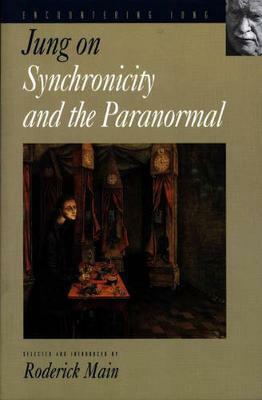 C. G. Jung had a lifelong interest in the paranormal that culminated in his influential theory of synchronicity. Combining extracts taken from the Collected Works; letters; the autobiographical Memories, Dreams, Reflections; and transcripts of seminars, Jung on Synchronicity and the Paranormal sets out clearly his seminal contribution to our understanding of this controversial area. In his introduction, Roderick Main discusses Jung's encounters with and observations of the paranormal, the influences that contributed to his theory of synchronicity, and the central ideas of the theory itself. The selections include Jung's writings on mediumistic trance phenomena, spirits and hauntings, anomalous events in the development and practice of analytical psychology, and the divinatory techniques of astrology and the I Ching. The book also features Jung's most lucid account of his theory in the form of his short essay "On Synchronicity," and a number of Jung's less-known writings on parapsychology, his astrological experiment, and the relationship between mind and body. Jung on Synchronicity and the Paranormal addresses subjects that were fundamental to Jung's personal and professional development. Probing deeply into the theory of synchronicity, Roderick Main clarifies issues that have long been a source of confusion to Jung's readers. Roderick Main is a Visiting Professor at the Centre for Psychoanalytic Studies, University of Essex.